CHICAGO (WLS) -- Saturday is the deadline if you want your holiday cards to be delivered in time for Christmas. The U.S. Postal Service says cards and any packages weighing less than 13 ounces should be in the mail by Saturday to make sure they arrive on time. 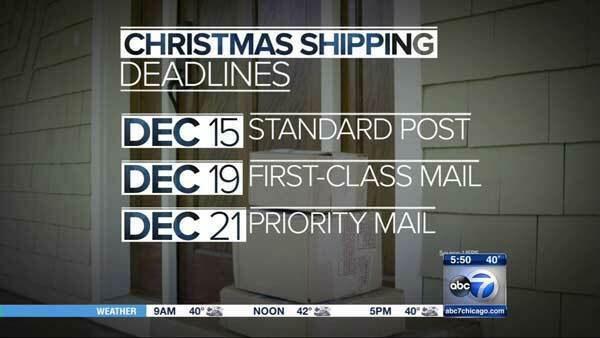 The deadline for Priority Mail, which includes most other packages, is Monday. If you're a real procrastinator, you can pay extra for Priority Mail Express as late as next Wednesday, Dec. 23.